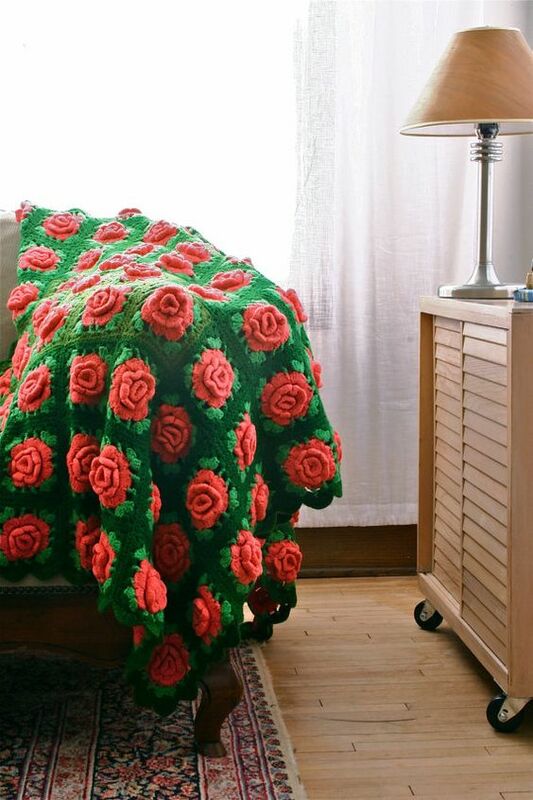 Amazing free roses afghan to crochet and as inspiration you can’t resist! 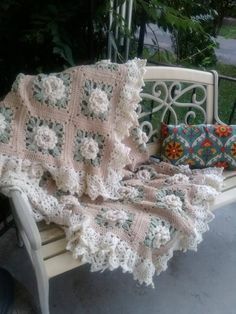 As a crocheter that loves creating blankets, afghans, throws and knee rugs; I love it when I can get my teeth into a crochet project that is layered, textured and challenging. 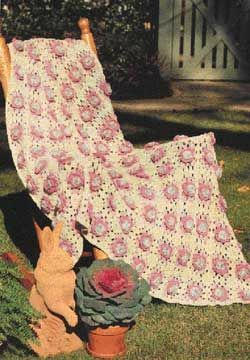 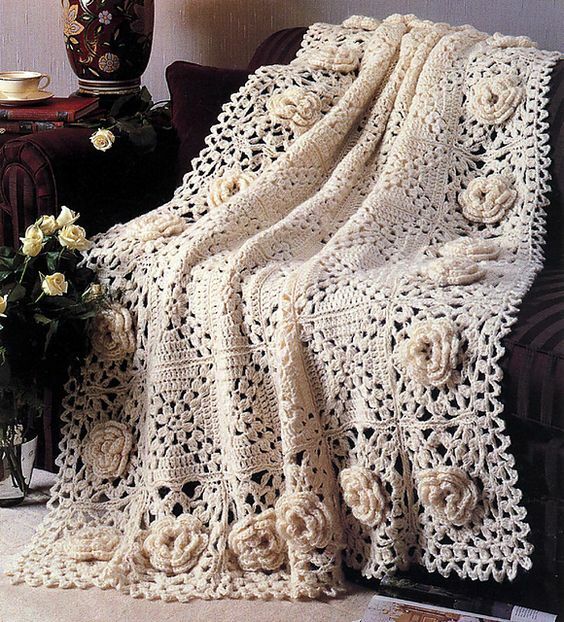 Crochet afghans and blankets that are decorated with crochet roses are intricate and beautiful. 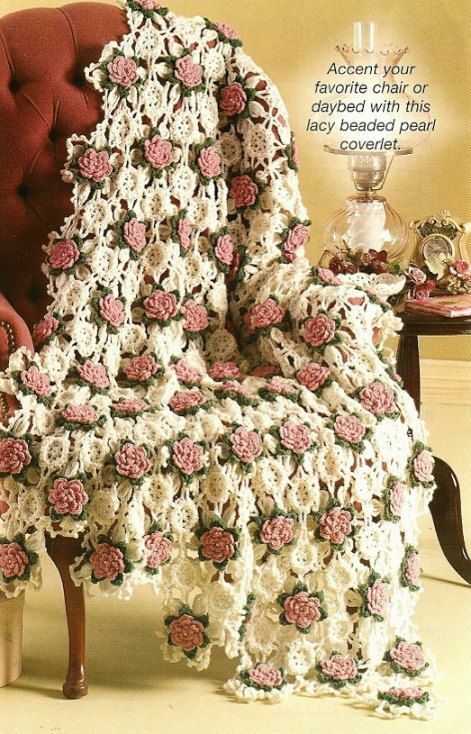 The perfect crochet blanket for any girl or woman. 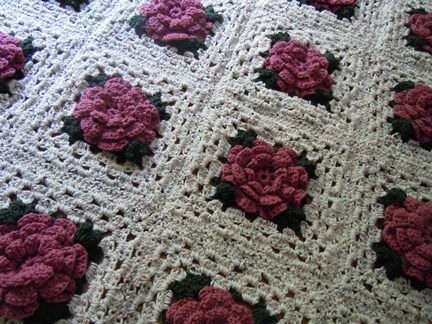 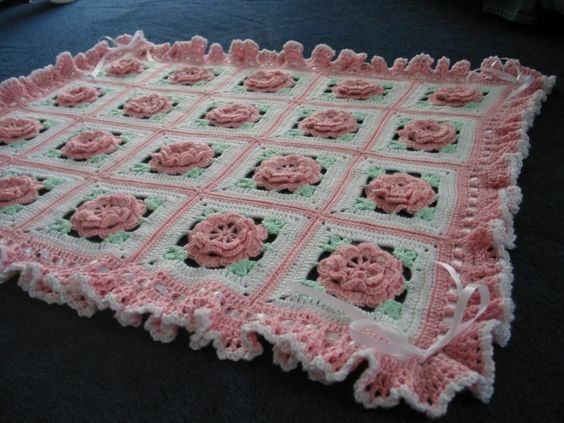 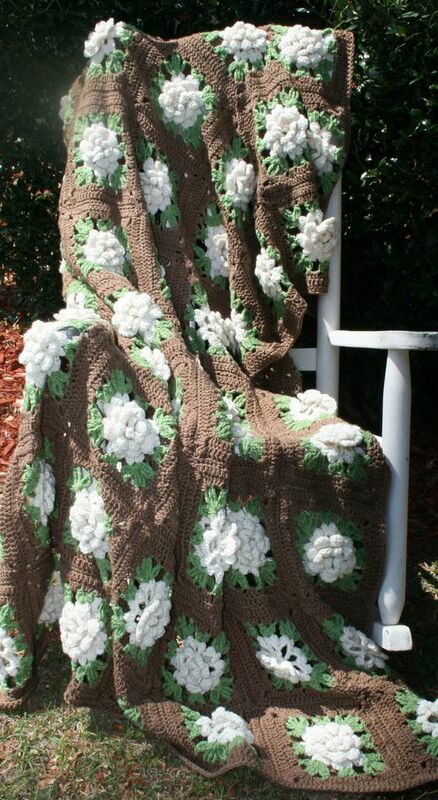 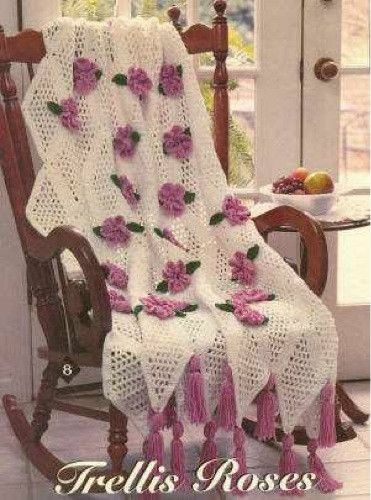 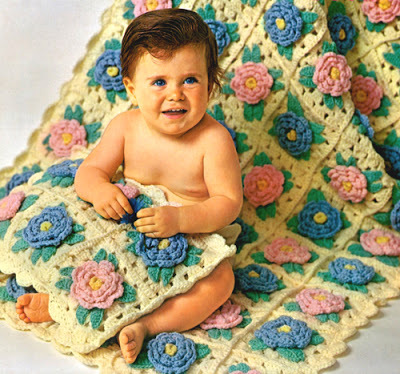 The roses give the crochet blanket dimension and a vintage feel. 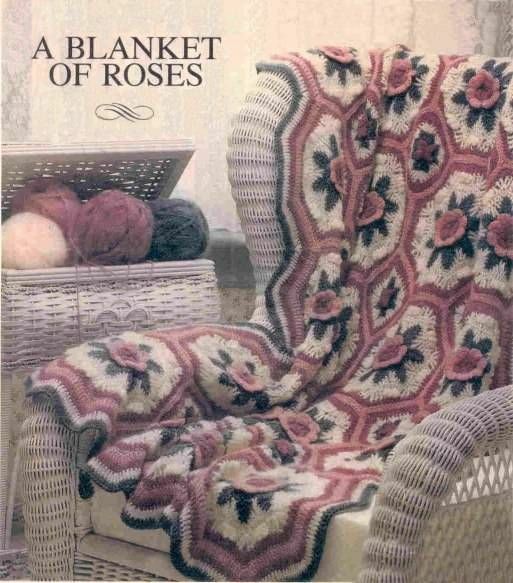 Following we will include plenty of roses afghans to crochet with patterns, diagrams and also some images to inspire. 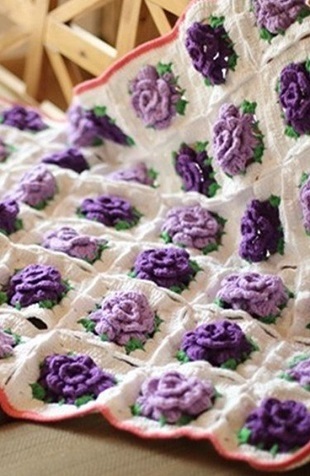 Two tones of purple yarns used for this amazing roses crochet blanket. 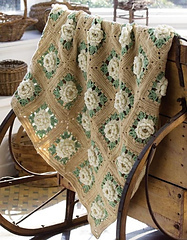 This cozy afghan topped with gorgeous roses is a mingling of pretty stitches done in a knitting worsted yarn. 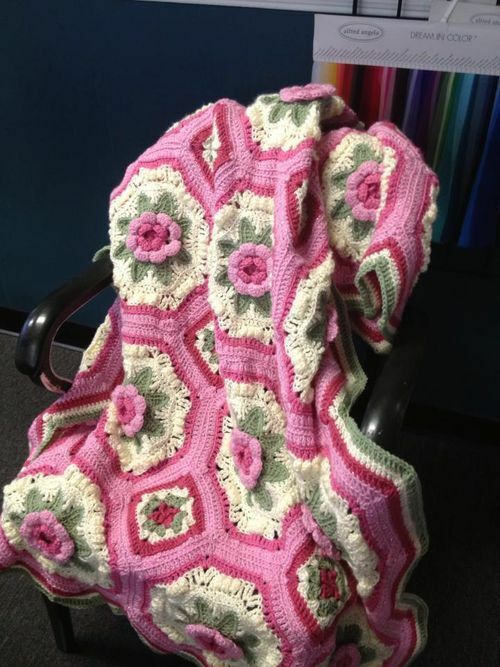 Because you are working one octagonal unit at a time it is great carry-along crochet. 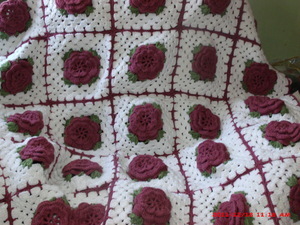 Finished size: approximately 40 inches by 60 inches. 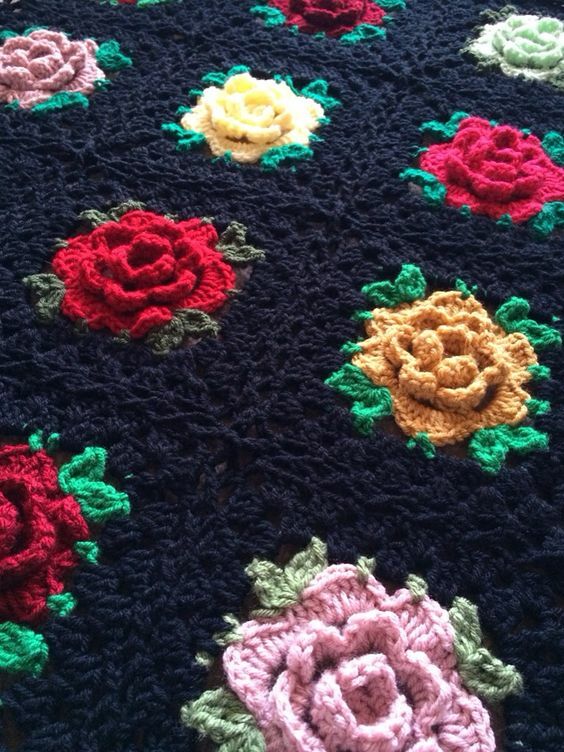 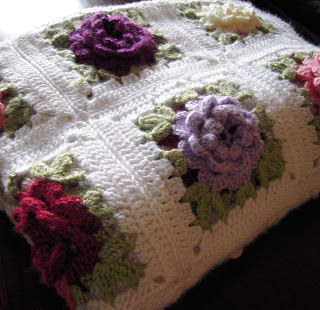 Granny squares with roses joined to make a wonderful crochet baby afghan. 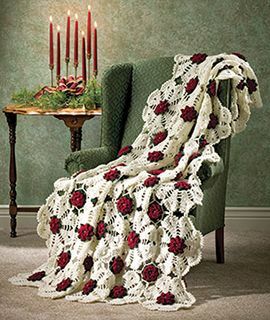 Lush, multilayered, beaded roses adorn large, lacy snowflake-style motifs that join as you go to create a stunning holiday throw or an exquisite home accent to dress up your decor any time of year. 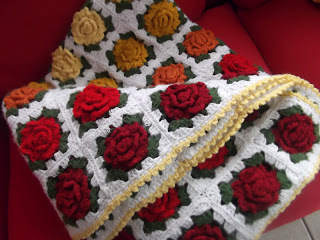 Gorgeous 3D roses with leaves plus a granny square frame and 3-chain flat braid join. 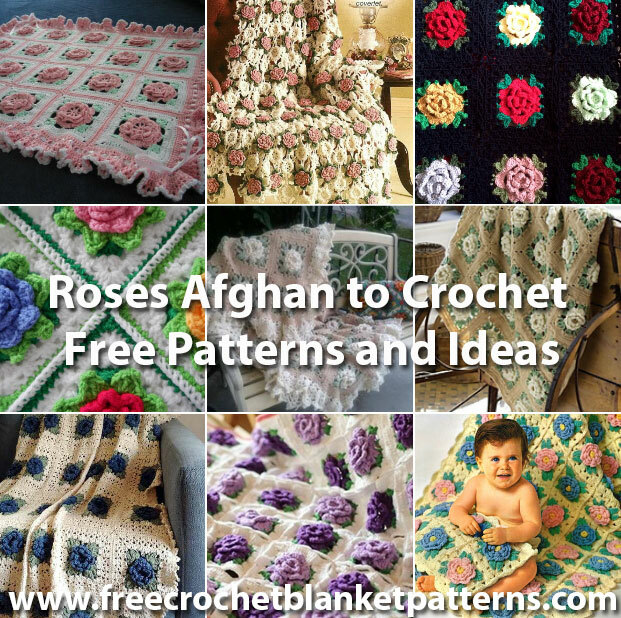 Here are some inspirational blankets featuring rose afghans that we love and think you can be inspired by too, help with color combination and placements. 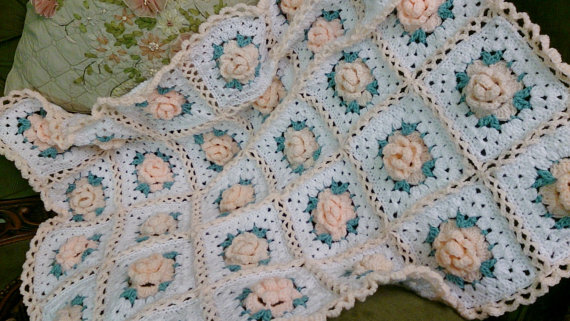 Crochet a rose granny square afghan in white pink and green! 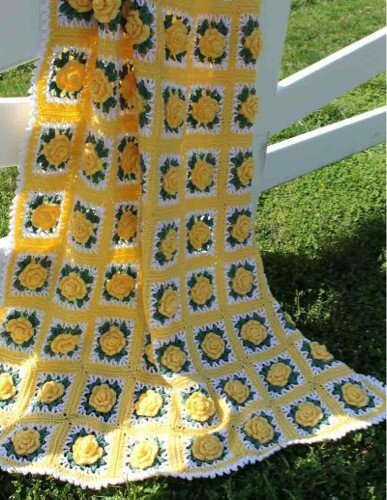 Yellow and green crochet roses blanket. 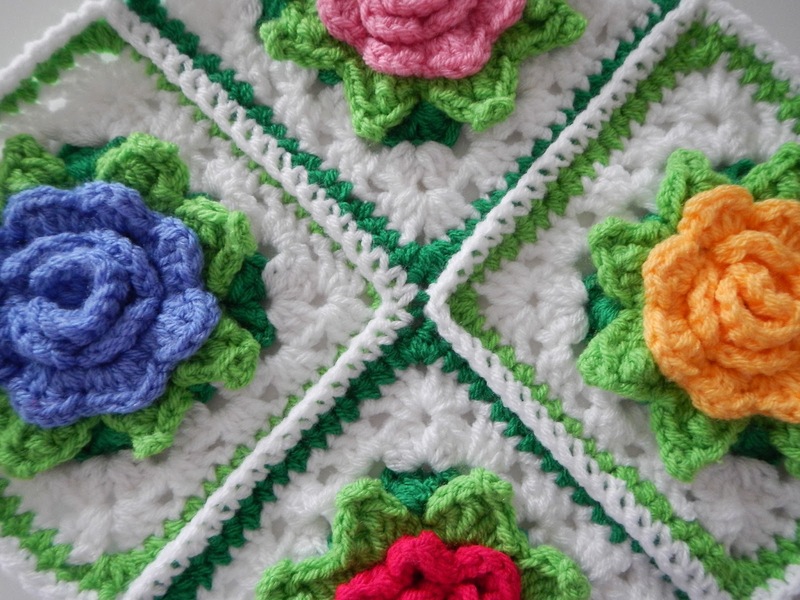 Colorful roses with a white background. 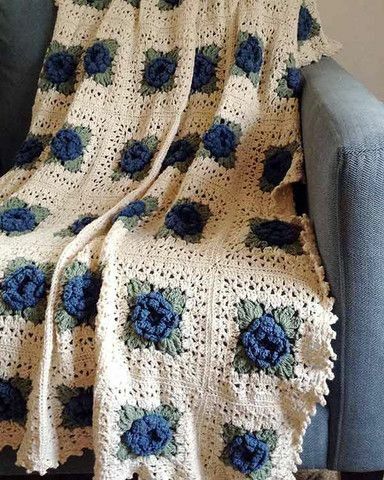 Blue roses afghan with white borders. 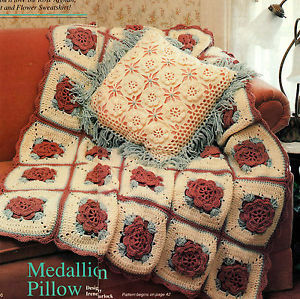 Here are some more amazing examples!